A plugin for Facebook’s Instant Article was released yesterday by the WordPress.com VIP team and will be open to any publisher starting April 12, 2016. Instant Article for WordPress is now available on GitHub and will be available soon to the WordPress plugin directory. Publishers must perform review process in order to ensure that their posts are properly formatted and articles will load instantly on mobile devices once approved. As Facebook stated, the speed is 10 times faster than the standard mobile web. 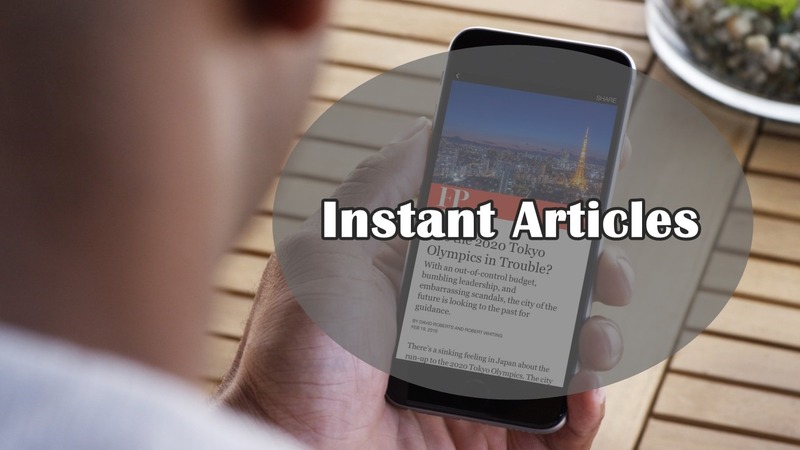 Instant Articles plugin does not have built-in options for serving ads and further customization will left up to the publishers. Instant Articles is not yet available to WordPress.com users but they will explore something in the future. Check it out here for more details about the Instant Articles. As a blogger you aim to reach out to a larger audience. This not only builds your own reputation as an expert author in the niche, but also enhances the value of your blog to potential online advertisers. The key to attracting more readers for your blog lies in promoting your blog. WordPress experts have developed themes and plugins for almost every profession under the sun, and real estate is no exception. There are several intelligent and lightweight WP plugins, which are ideal for listing properties for sale. These plugins also incorporate the IDX search feature. But you need more than just that to create an ideal website. Let’s explore Top 3 Plugins Specific to Real Estate Websites.